and cut it into cute Christmas shapes. Then wrapped them up, put on a Hallmark Christmas movie and waited until it was time to decorate! Directions:Combine all ingredients in the bowl of a stand mixer fitted with the paddle attachment. Mix on low speed until the sheen has disappeared and the icing has a matte appearance (about 7-10 minutes). Transfer the contents of the mixing bowl to an air-tight container. This will be the stiffest consistency of the icing, and at this point it is still too stiff to use for decorating. Add water a very small amount at a time and stir by hand until fully incorporated. Continue until the icing has reached a consistency appropriate for piping. (Remember, if you are having any difficulty piping, it is still too thick. Add a little more liquid and try again.) 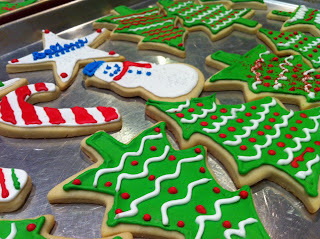 Using a pastry bag, pipe around the edges of each cookie. Let stand so the icing will set. 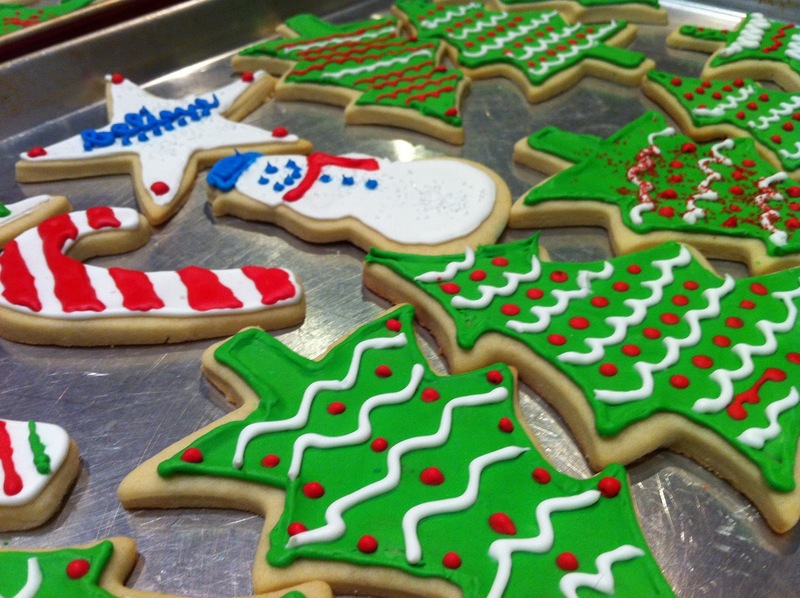 Make sure to keep the leftover icing covered at all times when not in use so that it does not begin to harden.